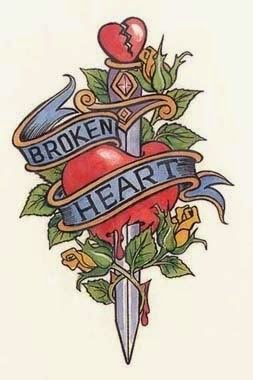 I was going to post about how sad I am because tonight I said something completely stupid to my spouse and he reacted with hatred and venom and I realized how bad things are between us beneath the carefully burnished surface we've erected over our problems so that we can survive our final months together. Then Precocious Daughter and I watched a bunch of episodes of "Big Bang Theory" on TBS and afterwards "Cougar Town" came on and we watched the first five minutes. 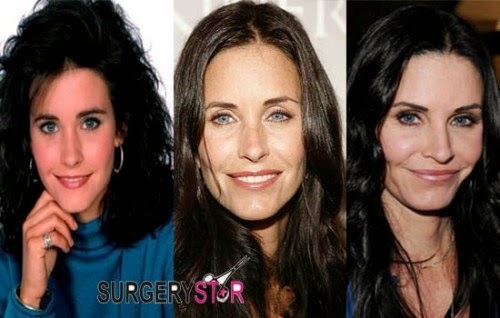 What the freaking hell has Courteney Cox done to her beautiful face??? when did Heath Ledger as the Joker become a standard of beauty? I had never seen an episode of "Cougar Town" before. I guess I hadn't seen Courteney on any talk shows, either. I guess I haven't seen Courteney at all except in reruns of "Friends." She was so damn beautiful. Not what faces are supposed to do. I feel bad that Courteney Cox feels the need to defile herself in this manner because a certain percentage of the public would rather see her remain artificially young than grow old gracefully. But I appreciate the distraction from how miserable I feel tonight. I'm grateful that I can focus my sadness on the plastification of a great natural beauty for the sake of an unrealistic ideal, instead of the fact that a fragile truce between my estranged spouse and me has been revealed as a sham based on avoiding honest discussion. So thanks, Courteney. Also, I'm sorry, Courteney. You didn't have to do all that for me, that's for sure. Tattoos. I definitely would go for tattoos before plastic surgery. Unlike plastic surgery, I can hide it away. All I can say is that armistices are just that. Not peace. And the stresses, denied outlet, merely build to the point of explosion. When a marriage is over, the faster the former partners can go their respective ways the better.